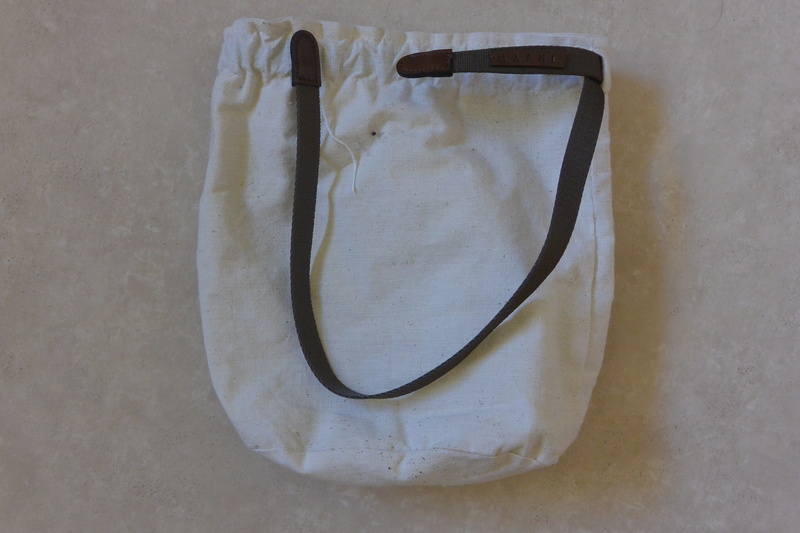 Just a quick post today about a quick update I did on a bag recently. 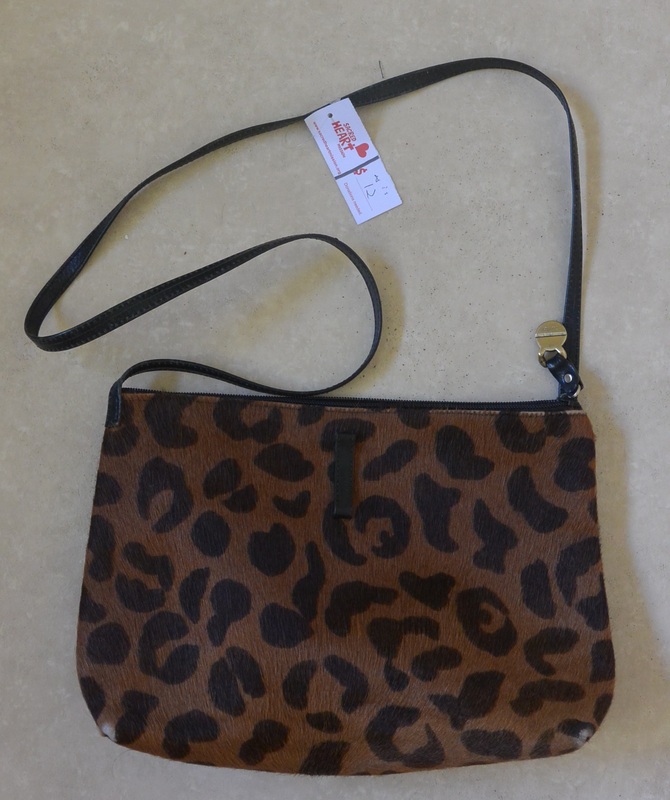 I found this animal print calfskin handbag at an opshop (where else!?) a few weeks ago and shelled out $12 – it’s by Italian brand Furla but for some reason there was a calico bag inside it by Marni. So I got two designer bags for the price of one, kind of! The previous owner must have been a bit of a fan of Italian designers. 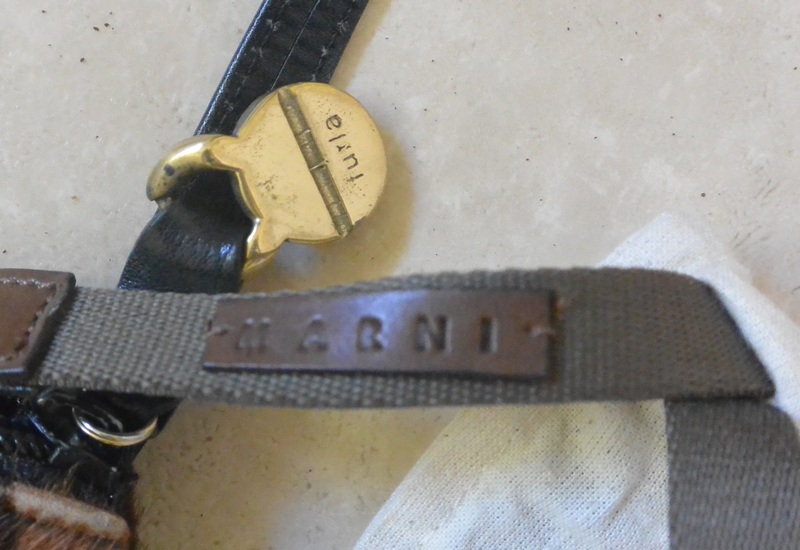 I wonder what happened to the Marni item that the calico bag originally protected? Anyway, on to the bag update. The Furla bag had a thin leather strap attached but it made it look dated so I removed it to use the bag as a clutch instead. I have quite a lot of little clutches that I bought at flea markets in Japan as they are often in great condition* and super cheap ($1 or so!) but I seem to always have too much stuff with me to fit properly into them. This one is big enough for my phone, wallet, keys, hanky and even a paperback book so will no doubt get quite a workout! I was thinking of attaching a different strap or a chunky chain but decided to leave things as they are. I can always add something later, if inspiration strikes. I’m also thinking of how I can repair the corners where the hair has rubbed off (the previous owner obviously used this bag quite a lot!) 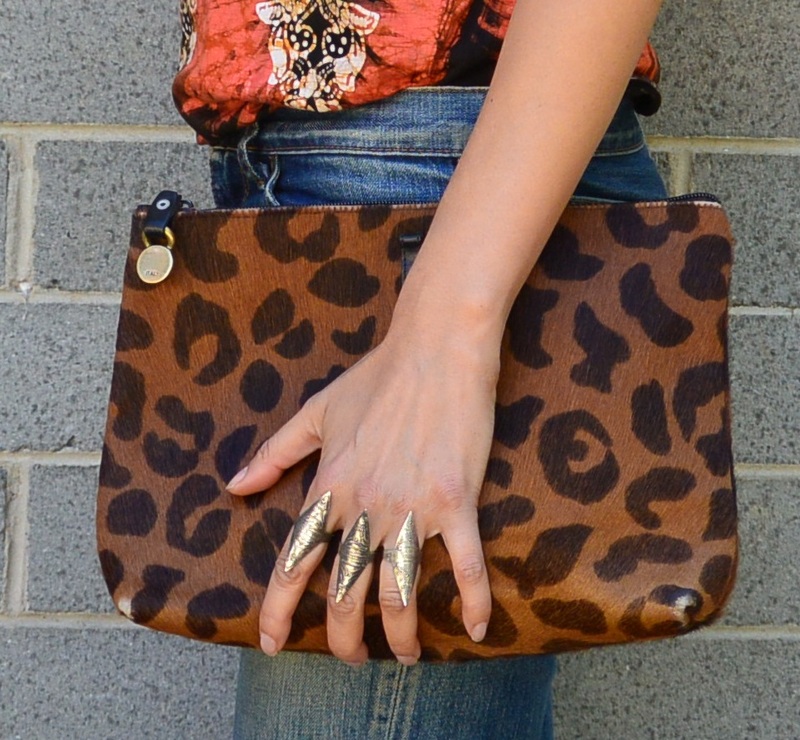 – maybe covering the corners with small pieces of leather or attaching tassels to hide the bare bits? Or just not worrying too much about it… what do you think? 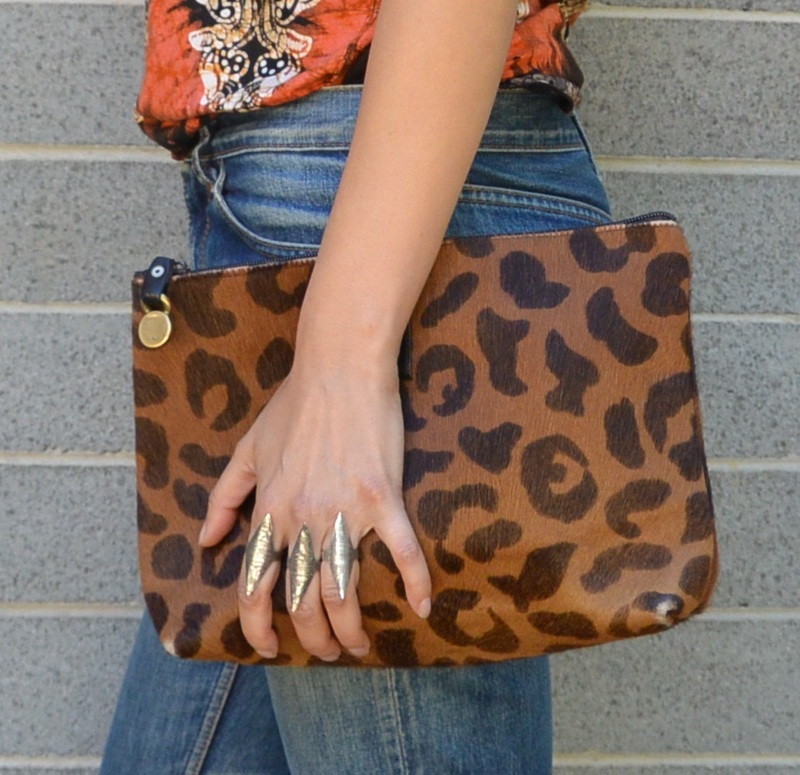 *A lot of the clutches or purses for sale at just about any flea market in Japan are from sets that match kimono. Given that most women only wear kimono on special occasions these days and wouldn’t use the clutches with western everyday outfits, they are often in near-new condition. Look out for them if you happen to be at a flea market on a weekend, or drop in to somewhere like Komehyo to find them during the week.